Within the CSD Department, Mark E. Bernstein, Ed.D., is coordinator of the Deaf Education/Deafness Studies major, and he teaches courses related to deafness and deaf education. He is also the Associate Dean for Undergraduate Education in the Moody College. He has been a classroom teacher of deaf children, and his degree is in the area of applied psycholinguistics and child language acquisition. Dr. Bernstein's scholarly interests range from issues related to working with parents of children who are deaf or hard of hearing, to descriptive studies of the use of simultaneous communication, to language categories and lexical acquisition in children. Dr. Bernstein has published in Applied Psycholinguistics, Sign Language Studies, The American Annals of the Deaf, and the Journal of Child Language, among others. He has served on the editorial boards of The American Annals of the Deaf and the Journal of Learning Disabilities, and has reviewed for Language, Speech, and Hearing Services in Schools. 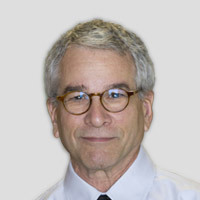 Dr. Bernstein was the recipient of the 1990-91 College of Communication Teaching Excellence Award, the 1997-98 Texas Excellence Teaching Award, and the Fall 2008 University of Texas at Austin Dad's Association Centennial Teaching Fellowship. He also won the University's 1997-98 Outstanding Graduate Adviser award, and in 2011 received the National Academic Advising Association (NACADA) Certificate of Merit for Outstanding Faculty Advising. In 2014-15 he held the William David Blunk Memorial Professorship, in recognition of his record of undergraduate teaching, advising, and support of undergraduate education. As Associate Dean he is responsible for coordination of all aspects of undergraduate education in the Moody College, and serves on several University-level committees focused on undergraduates.